First of all, maybe we should explain you what the developer edition of the Galaxy S4 is. In the US, the carrier branded Verizon and AT&T versions of the Galaxy S4 come with a locked bootloader. The developer edition comes with the bootloader unlocked so that developers can do their thing without any trouble. This version is different from the Nexus version of the Galaxy S4. 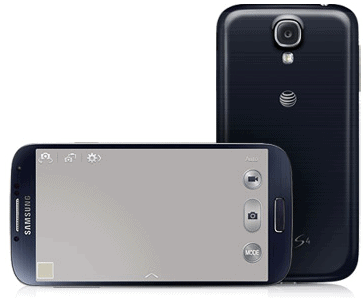 AT&T customers will be able to buy the Google S4 in the near future, making it an interesting choice between the Dev Edition and this one. On the other hand Verizon user have some reasons to be happy as the carrier has a long history in locking bootloaders, so they might have some use with such a device. 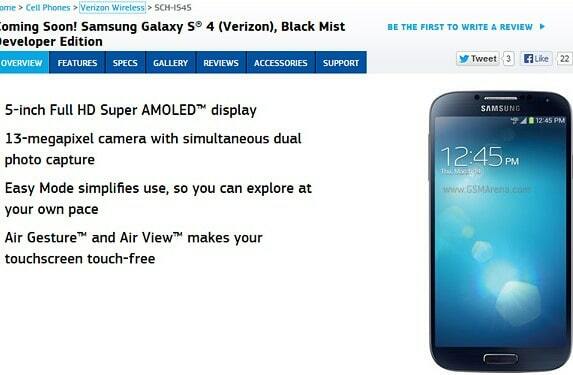 The devices will be released soon, with no official release date yet revealed, and will come in Black Mist color.